Portugal has mild temperatures year-round, especially in comparison to the rest of most of Europe. While March is wetter and cooler than the summer, rain levels tend to decrease as spring emerges. This change in weather can present a golden opportunity to miss the crowds and high prices of the warmer months and visit Portugal for some much-needed sunshine. Rain levels are dropping off in March from the winter and temperatures are mild, making for decent weather to sight-see while not dealing with hoards of people. Because the town won't be full of tourists, day tours will be much less hectic than usual. You also shouldn't have much trouble booking a centrally located hotel at a reasonable price. The end of March also sees the nearby Obidos International Chocolate Festival, so you shouldn't need another reason to visit the area! 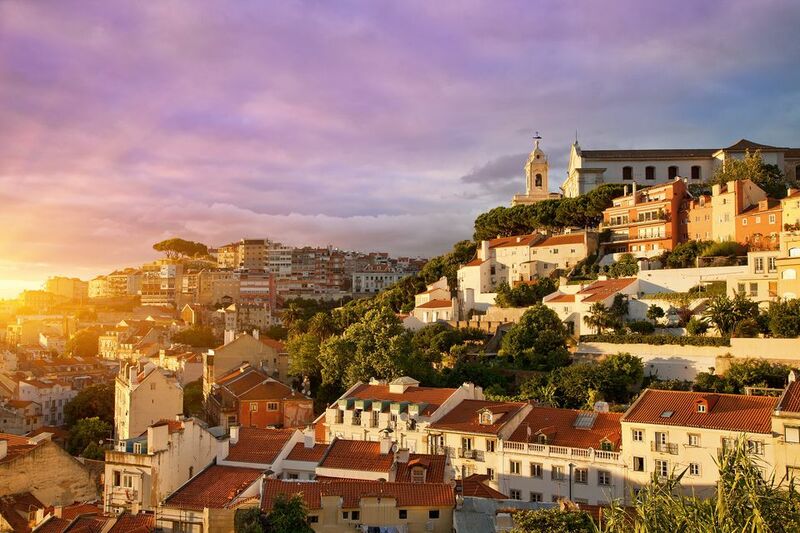 The average high temperature in Lisbon in is 65 F.
The average low temperature is 50 F.
The average rainfall in March in Lisbon is 2 inches. Porto and northern Portugal are wetter than Lisbon, but the rain levels decrease as summer approaches. The temperatures are mild and the crowds are low. Take advantage of the city's quieter moments and indulge in a walking tour with a port wine tasting—after all, Porto isn't Porto without port wine! The average high temperature in Porto in is 62 F.
The average low temperature is 45 F.
The average rainfall in March in Porto is 3.54 inches. Portugal's southern coast, the Algarve, has some of the warmest and driest conditions year round. Temperatures are comfortable, though you won't be able to swim in the ocean. But you will have more of the beach to yourself as the tourists have not arrived yet. If you want to do something truly off the beaten path while visiting the Algarve Coast, you can see where the region's corks are made in their famous wineries. The average high temperature in the Algarve is 65 F.
The average low temperature is 48 F.
The average rainfall in March in Faro is 1.37 inches. The Douro Valley is located near Porto, and like a lot of semi-rural Portugal, it is known for its incredible wines. Both experts and tourists flock to the area every year to sample what the valley's wineries have to offer, so once again, you'll be happy to find them somewhat less crowded during the spring. You can explore Portugal's wine country yourself with a private tour. As for the weather, temperatures will hover around a temperate 53 F, so bring a light jacket. The average high temperature is 58 F.
The average low temperature is 40 F.
The average rainfall in March in Vila Real is 3.25 inches. Although the weather varies depending on where you're visiting in Portugal, overall the temperature will hover at around 57 F with the possibility of light showers. With that in mind, you'll want to bring jeans or long pants, a light jacket, and an umbrella if you see rain in the forecast. Sweaters and scarves are nice to layer for the evening when it gets chillier after the sun goes down. The Spring Festival in Lisbon takes place at the Belem Cultural Center and includes a line-up of shows, concerts, and exhibitions to celebrate the spring season. Porto puts on a Celtic Festival that features performances by several Celtic Groups from different countries.